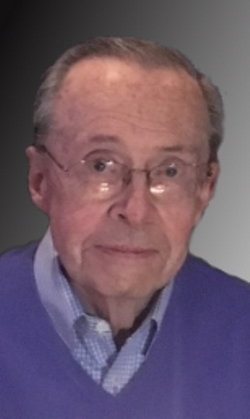 Thomas M. Shanahan, 69, formerly of Lowell, died peacefully at his home Monday September 3, 2018 in Manchester, NH with his loving family by his side. Tom was the beloved husband of Dorothy Jean "Jeannie" (Page) Shanahan, who survives him, and with whom he recently celebrated their 48th wedding anniversary. Born in Lowell, Massachusetts, January 22, 1949, a son Lena (Fortuna) Shanahan of Lowell and the late Daniel J. Shanahan, Tom attended Lowell schools and was a graduate of Lowell High School in the Class of 1966. Prior to his retirement, Tom was a teller at Washington Savings Bank in Lowell for several years. Previously, he was the Deli Manager at Alexander's Super Market (nka Hannaford Super Market) in Dracut for many years. A lifelong communicant of St. Patrick's Church in Lowell, Tom was an active and passionate member of the parish. He worked onstage and backstage for the St. Patrick Church Variety shows over the years. He also assisted during the annual Irish Cultural Week and brought joy and humor to all he encountered. In addition, Tom was a longtime member of the Camelot Players, a theatre company in Tyngsborough. 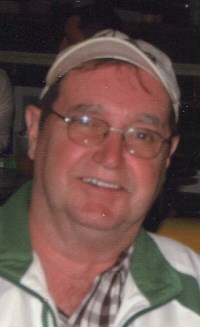 Besides his wife and mother, Tom is survived by his daughter Katherine P. Shanahan - Samson and her husband Christopher of Manchester, NH; a son Sean T. Shanahan and his companion Melanie Staples of Tewksbury; six grandchildren Jeremy, Ryan, Kylee, Caleigh, Aidan and Audrey; three sisters Patricia Shanahan of Lowell, Laura Shanahan-Rowe and her husband Earl of Hampton, NH and Maureen Aubrey and her husband Frank of Lowell; many nieces and nephews. He was also the brother of the late Daniel J. Shanahan, III and the late John Patrick Shanahan. Friends may call at the O'DONNELL FUNERAL HOME 276 PAWTUCKET ST. in Lowell for a Memorial Visitation from 2 to 5 P.M. Sunday. Relatives and friends are invited to attend his Memorial Funeral Mass to be celebrated Monday morning at ST. PATRICK CHURCH in LOWELL at 10 o'clock. (PLEASE MEET AT CHURCH). Committal Services will be private. 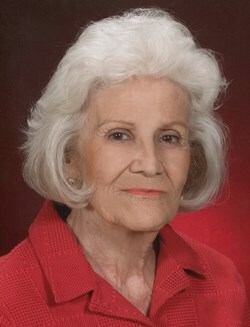 E-condolences/directions at www.odonnellfuneralhome.com. Those wishing may make contributions in his memory to St. Patrick Church Renovation Fund, 24 Suffolk St., Lowell, MA 01852. Arrangements by Funeral Director James F. O'Donnell, Jr. (978) -458-8768. I am so sorry to hear about Tommy's passing. He was a wonderful funny man. Great guy! When I made friends with Kathy all those years ago I never imagined I would have gotten a 2nd family too! You had a way to make me laugh ( even when you were mad) The world is going to be a much sadder place with out you there to bring laughter and entertainment to folks. You will be missed dearly by those of us who were honored enough to have you in our lives. RIP Pops . Love "Hovey"
Prayers are with you during this time of loss. I have many fond memories of Tom from the days of the Saint Patrick Parish shows. Tom you were a mentor at WSB when I was a young teller and I never forgot the fun times we had working together. I still have a guardian angel you gave me all those years ago, and I will hold your memory with it always. Rest in peace my friend, prayers to Jeannie and your family. Jeannie and family , Garry and I wish to extend our deepest sympathies at T Tom’s passing. We are away and unable to attend any services but will keep you and your family in our thoughts and prayers. You were there for my first breath in this world and I was there for your last. You may be gone but you will always live on in my heart. You taught me many things, you watched over me, and we had many good times. Thank you for simply being my dad.